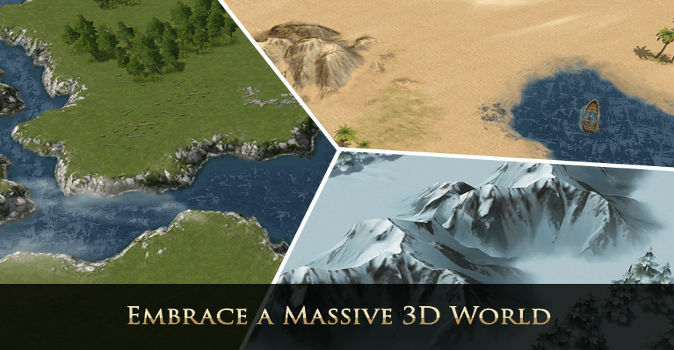 MMO/Strategy – One of the most iconic fantasy series of the past years has now received its very own browser game. Game of Thrones is coming to your PC as a free to play strategy hit. Despite the coming winter we went ahead and checked it out for you. Here is what we found in the war-torn continent of Westeros. The Game of Thrones browser game is best described as a neat little mixture between city building and strategic combat elements. 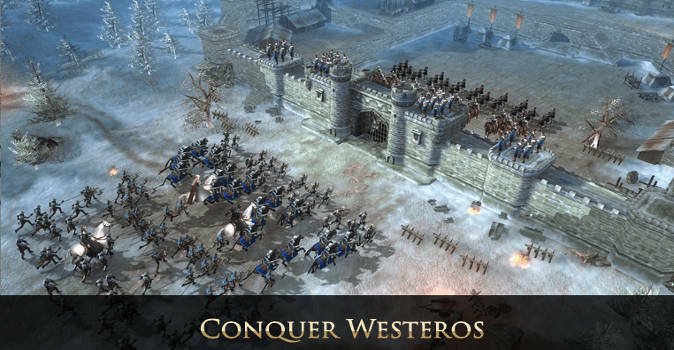 As one of the aspiring lords of Westeros it’s your duty to not only take care of your people but also raise powerful armies to defend yourself against countless foes who are lurking and waiting on the far edges of the realm. Meet all the unique characters from the series and put them in your service to overpower your foes in the fight for the Iron Throne. There is a lot going on outside your castle walls but before you can even think about tackling with these issues, you have to make sure that everything is in order within your own walls. Raising an army isn’t cheap and the gold that you need to hire soldiers doesn’t grow on trees. Neither does the food or the metal that’s needed for their weapons. In order to have the required resources when needed, you have to make sure that your own castle is well equipped for upcoming wars. Building mines, lumberyards and farms is only one way of providing the income needed for upcoming battles. Having a strong economy that can endure the hardships of long military campaigns will eventually turn out to be insanely important. Only the lords who understand that will be able to pass the test of time and put a serious claim on the Iron Throne. Once you secured a steady supply of income it’s time to raise an army that the world has not seen before. 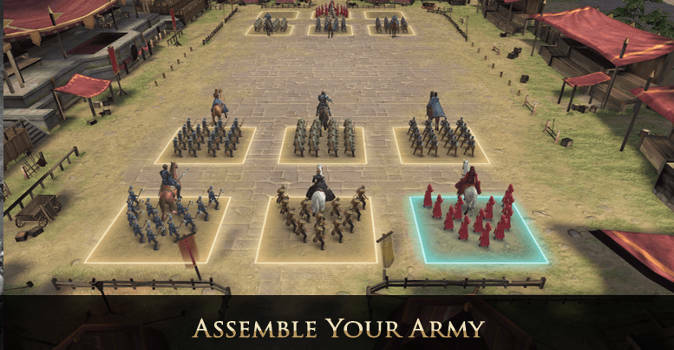 Building infantry barracks is the best way to start out and while you initially only get to hire archers and basic footmen, you will eventually unlock more powerful units along your quest in Westeros. The interesting part about all this is that you can and actually have to put up your units in specific formations, to put the unit’s characteristics to best use. Having archers in the front line is most likely not the best idea for example Furthermore you can attach some of the most iconic characters to your units, providing them with extra buffs. We had Sansa Stark leading our army into battle at one point. Save to say that Lady Sansa really has come a long way since season one. Growth can be achieved in two ways in Game of Thrones. Either by solely relying on your home grown economy or by taking the fight to your foes and raiding their supplies. As you imagine the second option is the more profitable one. The implications are clear. Always be on your guard when your army isn’t home because threats are lurking around every corner. Thankfully expanding your defensive options is also a thing that you can invest to while your army isn’t home. Therefore it’s highly advised to keep a close look on your surroundings when leaving your base or otherwise you might regret it. Free-to-play: Just sign up and you’re good to go. Game of Thrones is completely free to play. 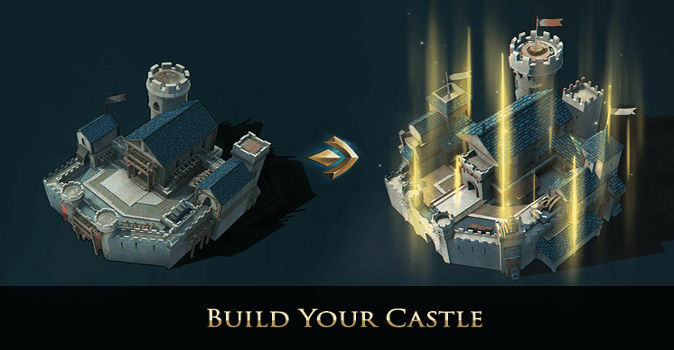 Grow a strong economy: Elevate your kingdom into new heights and rise a powerful economy that will provide the necessary resources for your war efforts. Massive Battles: Rising an army is one thing but putting it to best use is another. 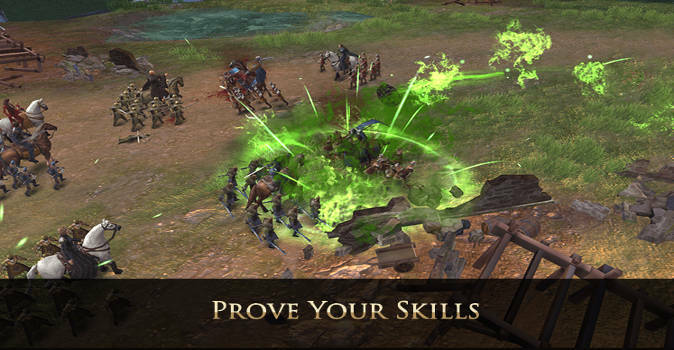 Play the strengths and weaknesses of your units to your advantage and overpower your foes. Conquer your rivals: Take the fight to your foes and raid their supplies in order to boost your own growth throughout your campaign. 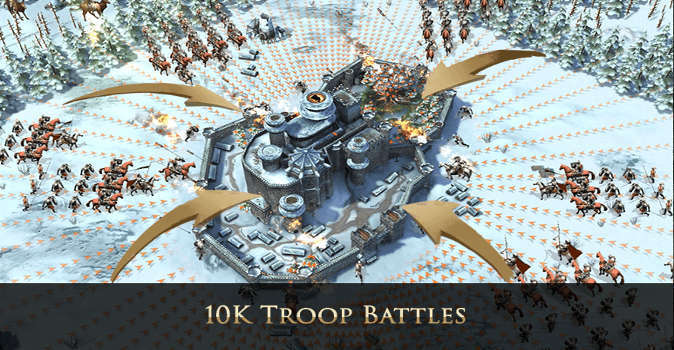 Okay, the Game of Thrones didn’t reinvent the genre of strategy games but given the fact that it’s the officially licensed title, it manages to leave a strong impression. The overall vibes are fitting and meeting all the characters from the series, like Melisandre, Sansa and all the others, was quite nice – especially since the last season of the series is still a few weeks out from now. Dabbling around in Westeros as one of the many different lords, competing for power with others really gave us the feeling of what it could feel like to fight for the Iron Throne. Gameplay wise the base building is pretty solid and the same can be said for the whole strategy aspect of the game. In this regard we can recommend this game without any doubt, especially in times where everyone is waiting for the conclusion of the series.